The fifteenth century experienced the longest and bloodiest series of civil wars in British history. The crown of England changed hands violently five times as the great families of England fought to the death for the right to rule. Some of the greatest heroes and villains in history were thrown together in these chaotic years. Yet efforts were made to maintain some semblance of peace and order, as chivalry was reborn, the printing press arrived, and the Renaissance began to flourish. 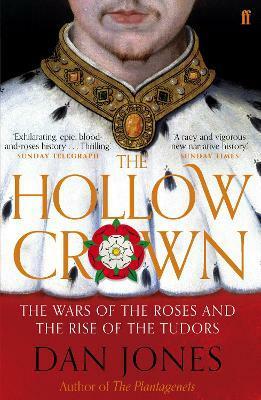 Following on from Dan Jones's bestselling The Plantagenets, The Hollow Crown is a vivid and engrossing history of these turbulent times. Dan Jones is an acclaimed historian and award-winning journalist. His first book, Summer of Blood: The Peasants' Revolt of 1381, was an Independent Book of the year. He is a columnist for the London Evening Standard, and writes, as well, for The Times, Daily Telegraph, Spectator and Literary Review. He has presented documentaries for the BBC. He lives in London with his wife and two daughters.